Marlene Finley led the San Mateo County Parks Department for the past three years after a long career with the US Forest Service. 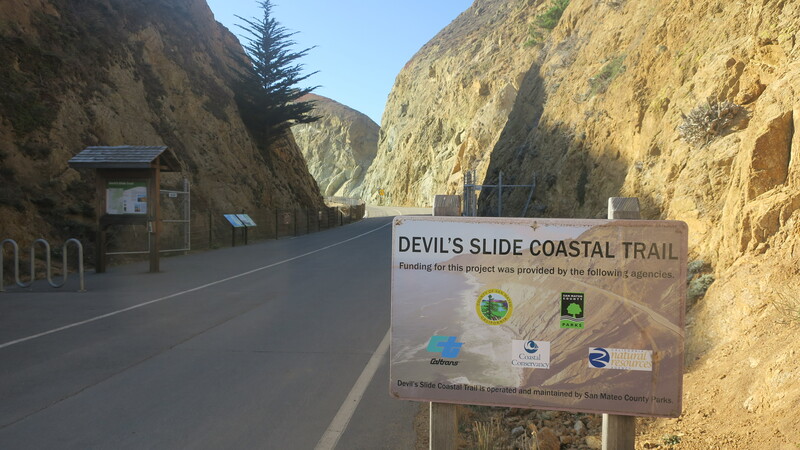 The parks flourished during her tenure with park expansion (Devil’s Slide Trail, Memorial Park, Pillar Point), record attendance, and a reinvigorated team. Recently the San Mateo County Parks Foundation had the opportunity to speak with Marlene about the parks and her upcoming retirement. Can you describe the San Mateo County Parks? 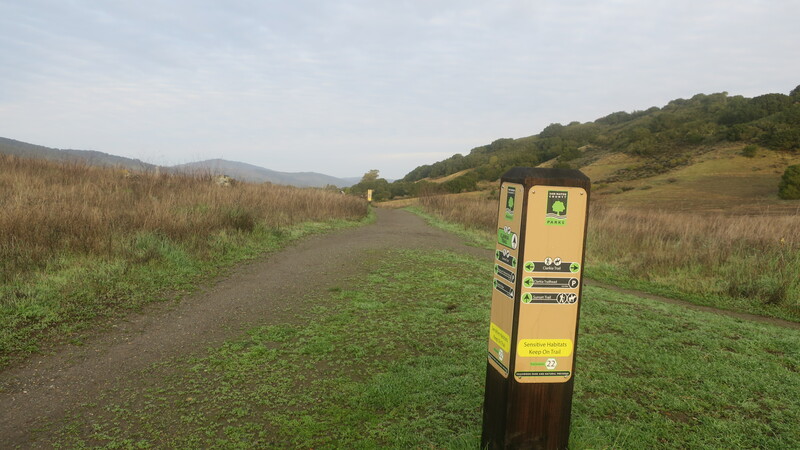 The San Mateo County Parks is a 93 year old system with a lot of tradition and diversity. It includes playgrounds, picnic shelters, trails, stables, and a marina. 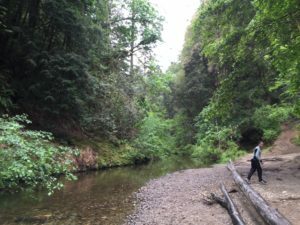 It includes many wild places like the redwoods along Pescadero Creek and tidepools along the coast. It offers a diversity of natural resources and park facilities, so there is something for everyone. What accomplishments are you most proud of as Director? One theme involved rebuilding the parks after the recession and reinstating the parks as a department. We created a natural resource program. We increased visitor services with interpretation. We’ve embraced social media. With the uptick of resources from Measure A, we’ve added many projects. We’ve made improvements and addressed deferred maintenance. We also increased the number of park rangers. Those improvements are visible to users like me with new signs, improved playgrounds & camping, increased access with the park shuttles, and many new rangers. What are some of the next big opportunities for the parks? 1) Sanchez Adobe. This is a big project since there have been no improvements in 62 years. This includes a new visitor center with brand new exhibits, new walkways, and restrooms. This includes period updates to the interior of the Adobe. These improvements will better showcase the history of San Mateo County. Classroom tours are fully booked every year. These improvements will enable San Mateo County Historic docents to double the number of classes who can visit & learn about the history of California. 2) Sam McDonald Park. Reopening the ranger station as a small visitor center would help tell the park’s wonderful story. It would interpret the history of Sam McDonald in the redwoods. 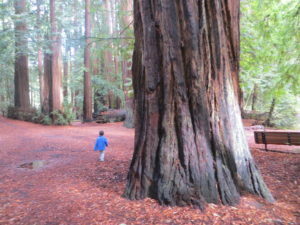 Sam McDonald introduced generations to the redwoods via the Stanford Athletic department. 3) Suite of parks in North Fair Oaks. This is a highly densely populated part of the county. Since it is an unincorporated part of the county, it lacks many services you’d find within a city. There is a real need for parks and trails. We have some initial funding and are working with the SFPUC to create park spaces within North Fair Oaks. I’d like to highlight two ongoing projects that bring youth into the parks and are supported with the San Mateo County Parks Foundation. The Foundation connected youth with stewardship and conservation via the Student Conservation Association (SCA). This program introduces students to possible jobs in the outdoors and environmental studies. The Foundation has also been a huge supporter of the volunteer program for all users. The volunteer program is growing and has supported over 36,000 volunteer hours this past year. What is next for San Mateo County Parks? Sarah Birkeland will be stepping up as the Interim Director for several months. She is currently the Assistant Director. She will do a fantastic job. The Parks have a succession plan, and we’re executing it. Spending more time with the parks and trails that I’ve worked on throughout my career. I’ll get to really enjoy them. I will also get to spend more time with my family. I have two young adult daughters. My husband will be retiring within the year. I also look forward to helping my parents as they get older. It is really important for me to help them go to doctor appointments and spend time with them. 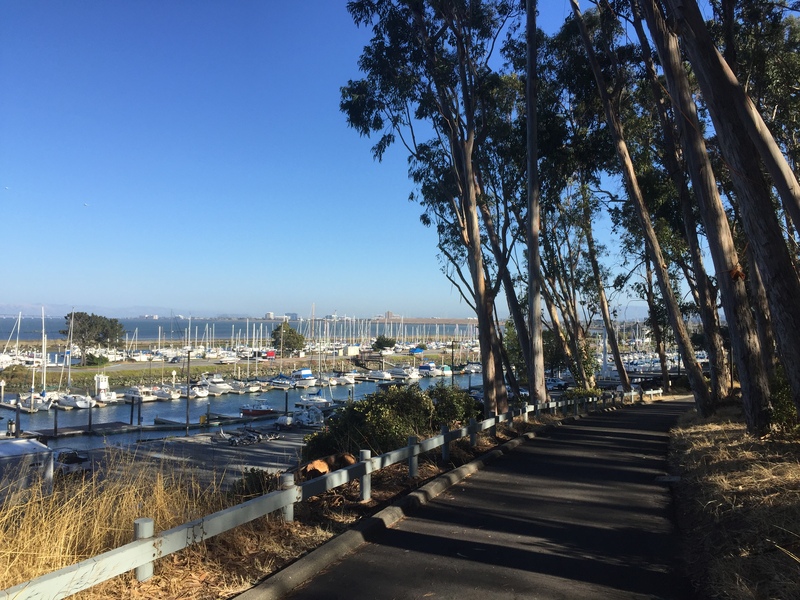 What is your favorite San Mateo Park? That’s a hard question but I’m not going to dodge it. I gravitate more toward the wild parks. 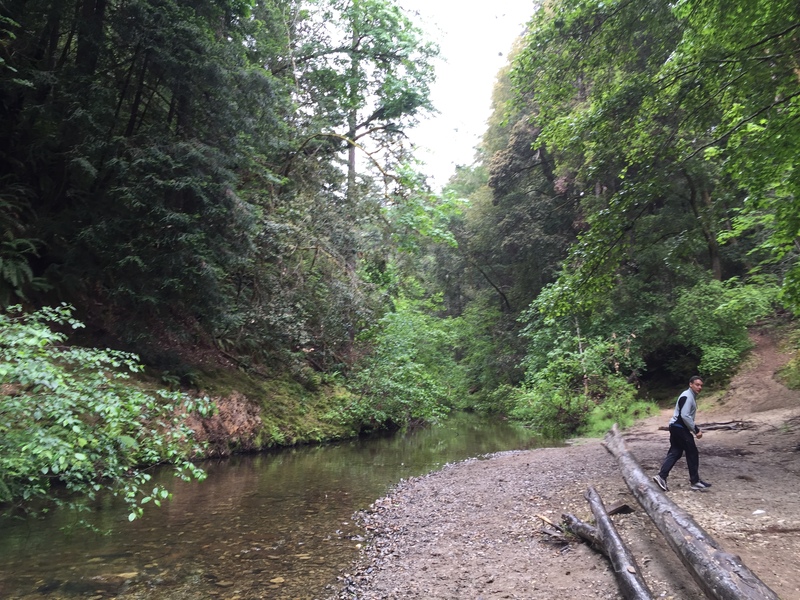 I really love Pescadero Creek County Park and the Tarwater Loop because of their wildness. I never tire of being on the coast either – whether is it the California Coastal Trail at Mirada Surf, Devil’s Slide, or Pillar Point Bluffs. 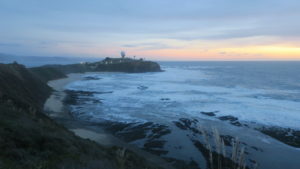 Can you share a favorite San Mateo County Parks memory? One of my fondest memories took place at a Flood Park meeting at the Siena Youth Center. The youth talked about the importance of parks to them and their families. They discussed what they want to see in the parks, particularly how passionate there were to get a pump track (bicycle course with features). I love seeing kids connect with parks and being visionary since they are the future. People come and go. I’m retiring. The parks are in great hands. I think back when we opened Devil’s Slide Trail. I saw what it took to build that trail with the efforts of partners, agencies, friends groups, tunnelistas, and rangers. I looked down and saw the wrinkles in my hands. I thought how the parks are in good hands. The parks have amazing stewards, rangers, friends, and partners who will take care of the parks. Thank you Marlene for all of your vision, passion, and energy for the parks. Good luck with your next phase.